Rockstar parent company, Take-Two, has revealed that Rockstar plans on releasing a new game within the next year. 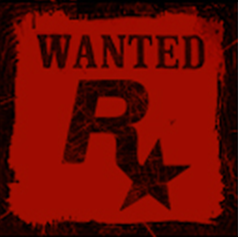 Rockstar has yet to confirm whether or not it will be an existing series however there has been a lot of rumors regarding the release of a next-gen console or PC version of Grand Theft Auto 5 along with a recent notice of Red Dead Redemption being compatible for Windows 8.1. We also can't forget the possibility of finally seeing the new Playstation exclusive franchise announced in 2007, Agent, which was filed for trademark mid last year. With all this talk there are many possibilities for what Rockstar may have in store for us. As of right now Rockstar has yet to announce their attendance at this year's E3, and traditionally Rockstar has avoided E3, so it may be a while before we see or hear more about the upcoming game. Personally I'm excited for the upcoming news. I'd really love to see a Red Dead Redemption port or even a Red Dead Redemption sequel. What do you think Rockstar will be releasing?